Den 25 januari 2013 så destillerades den första spriten hos Wolfburn. Vi har läst mycket gott om Wolfburn och deras whisky så vi på whiskytower vill givetvis veta mer om destilleriet och prova deras whisky. Master distiller Shane Fraser var vänlig nog att ställa upp på en intervju och två flaskor Wolfburn whisky inhandlades på en kryssning till Helsingfors nyligen. Shane Fraser med en flaska Northland. Hi Shane! Please introduce yourself to our readers. 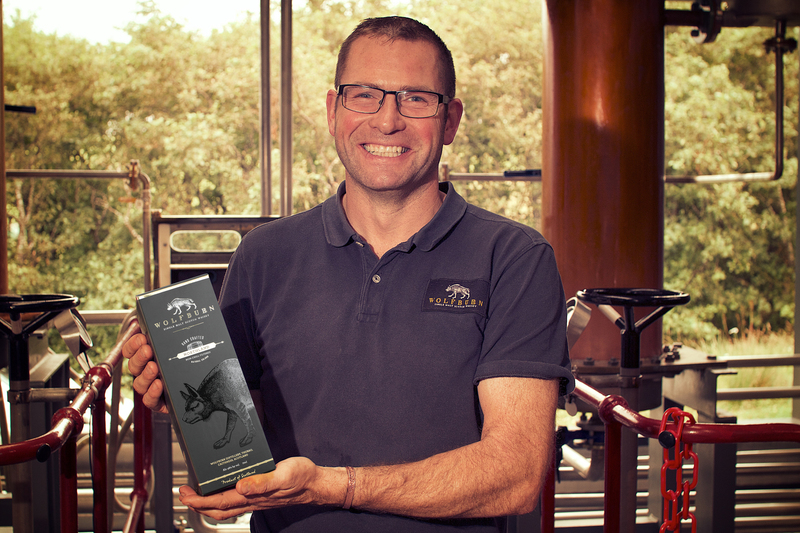 Hello folks, Shane Fraser here, master distiller and currently employed as distillery manager at Wolfburn. Tell us the story behind the Wolfburn distillery? It’s quite a story! The tale begins in 1821, when the original Wolfburn distillery was built. It probably operated illegally for the first few years, but we have tax records from 1826 so we know it was legitimate by then. In its day it was the biggest distillery in northern Scotland – but it fell into disrepair and by the 1870s it was a ruin. Then there’s a gap of about 140 years, until someone came up with the idea of rebuilding it! The new distillery isn’t quite on the site of the old one, it’s about 300 metres further along the Wolf Burn [the stream that provides the distillery’s water]. I was invited to join the team in 2012, when the new distillery was built – and I’ve been running the place ever since. We purposely built it the old fashioned way – everything we do is by hand, there’s zero automation. Wolfburn is all about craftsmen making the best possible whisky with the greatest possible care. Whisky mognar i Wolfburns lagerhus. You distill both peated and unpeated whisky at Wolfburn. How would you discribe the style of them and do you distill the same amount of both? Wolfburn’s house style is a light, sweet, smooth and very easy drinking spirit. It’s already gained quite a following worldwide, which is lovely to see. For the first 18 months we only produced unpeated spirit, but we know historically that the original distillery used peat in its production process, so it seemed sensible to make a peated whisky of our own. Peat of course has a very powerful flavour and we were very conscious of not overpowering the fragrant, sweet tones that our whisky is already known for, so we use only lightly peated malt, at 10 parts per million phenol. The result is a bigger depth of flavour, with smoke on the nose and at the finish. It’s lovely! We mostly produce unpeated spirit – the length of our peated production varies but it’s usually only one or two months per year. Whats the capacity at Wolfburn in LPA a year and how much do you distill? The design capacity is 115,000 LPA per year with a two-man crew, but these days the team is four people – we have two apprentices. Annual production is now around 130,000 LPA. How long is your fermentation time and what yeast do you use? Is it the same for the unpeated and the peated? Fermentation averages 75 hours. We use Anchor Dried Yeast, and it’s the same for peated and unpeated. Wolfburns pannor. Byggda av Forsyths. Your stills are from Forsyths. Tell us about the size and shape of them. They’re a unique shape, we designed them ourselves – with a bit of help from Forsyths of course! They’re designed to fit perfectly into our still house, and they do. They’re very traditional in nature, solid copper, and there’s a bulge in the neck of the spirit still. 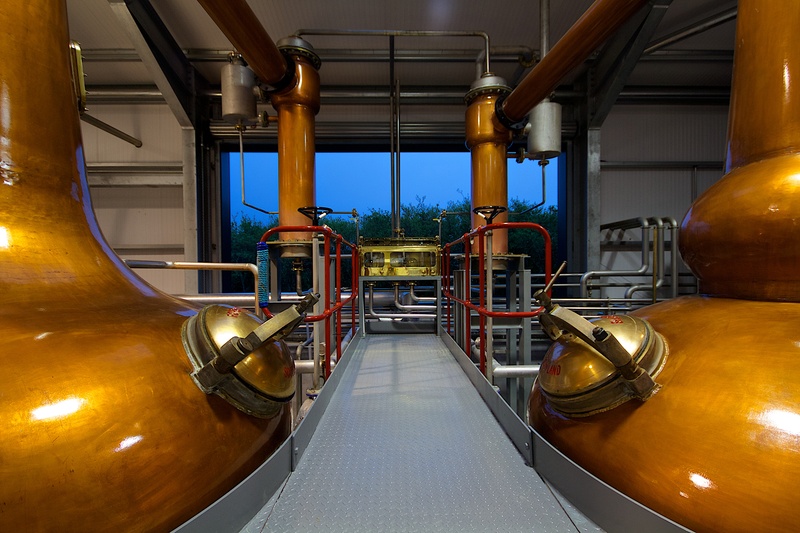 The wash still is 5800 litres charge capacity and the spirit still is 3500 litres. And they’re beautiful! Do you produce other spirits as well or thinking about it? Simple answer: no, and no! Please describe the core range from Wolfburn at the moment? We have three permanent expressions: Northland, Aurora and Morven. Northland was our first release and in many ways it’s still our flagship. It’s matured in ex-bourbon quarter casks and is a very easy drinking dram, which has won gold medals in four consecutive international competitions. Not a bad start! Aurora is a little sweeter, because it is partly matured in sherry casks. And Morven is our peated expression. In addition we produce limited releases, such as our Kylver collectors series, which follows the Viking alphabet – it’s a sort of celebration of the Viking heritage of the Thurso region. 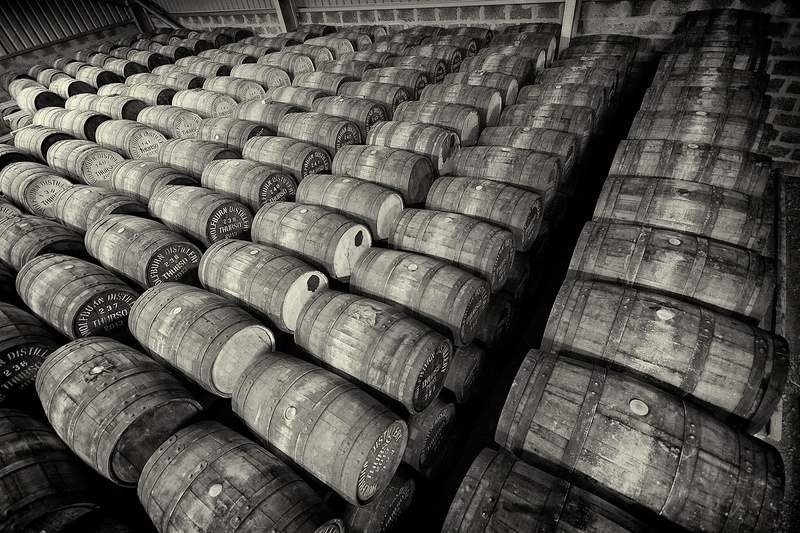 The contents of each release varies, but it all comes from our very best casks. 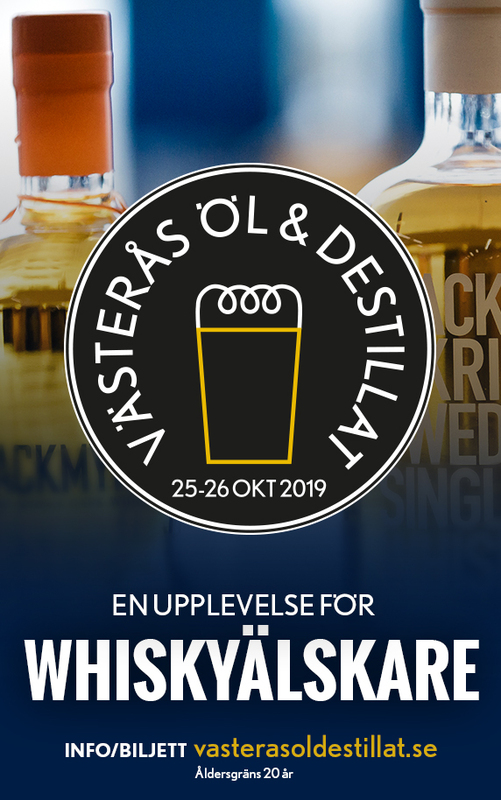 Whiskytower provar Nortland och Morven i klippet nedan. What is the biggest markets for Wolfburn? Northern Europe, especially Germany and Scandinavia. Japan and the USA are also large markets, and growing nicely. I’ve tried a few expressions and in the main I quite like it. Swedish distilleries mostly follow a traditional style of whisky making, much like many single malt distilleries in Scotland, and the results are good. The climate is similar of course, which helps maturation. Do you have any whiskyadvice for our readers? My wife will tell you never to listen to my advice! Seriously, my only “advice” is to look for quality and craftsmanship, keep an open mind, and drink the whisky you enjoy, not what someone else tells you to drink. Yes: if you haven’t already tried Wolfburn, please do! I’m very proud of the fact that the vast majority of people who try our whisky enjoy it – it’s great to bring a smile to people’s faces!